“The mezzo-soprano Lorraine Hunt Lieberson, who won near universal praise from critics and audiences for her courageous, insightful and deeply affecting artistry, died [in 2006] at her home in Santa Fe, N.M. She was 52.” She’d had breast cancer. An extraordinary artist: first professional violinist then Opera singer. Lorraine had nursed her sister, who had breast cancer, until she died – the same disease that would later kill Lorraine. Lorraine’s composer husband would succumb to cancer within a year and die in 2011. A very slow day for cyclists … one Vet and one Nurse over the finish line! 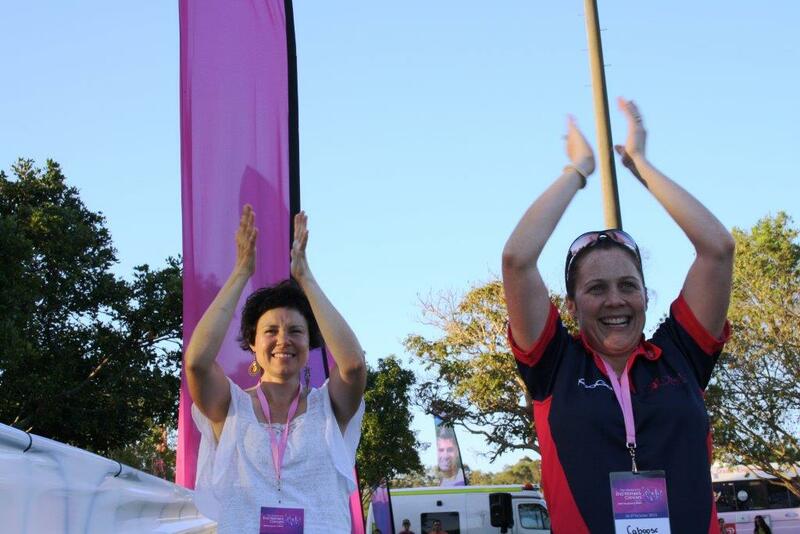 Our team ‘Breast Friends For a Cure’ were the Caboose team cycling alongside the walkers for support and route guidance. The walkers did 60 kilometres over two days. Briony and I cheered in the final walkers. Angela and Linda stayed with the final participants walking alongside their bikes the whole way.